Juicing Experimentation Day: Broccoli Juice, am I nuts? 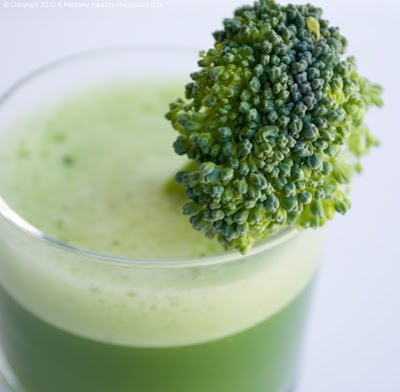 Broccoli juice? Yes, I am nuts. Sort've.. Sifting through my dwindling supply of fruits and veggies in my produce drawers (time to restock) my unstoppable curiosity has gotten the better of me! It leaves me asking questions like: what would broccoli taste like juiced? 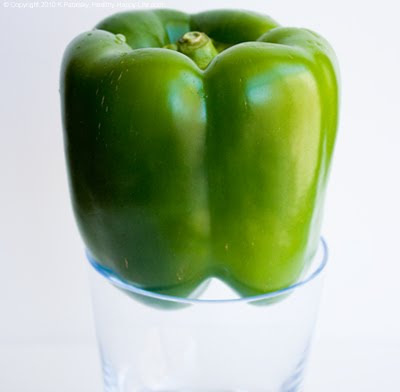 And, what about crisp bell peppers? 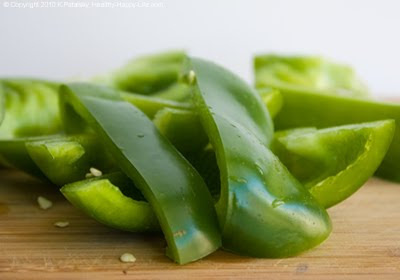 So I grab a giant green bell pepper, the last bunch of those giant sweet black grapes and even the leftover stalk of organic green broccoli. I also grab a pear and some ginger - because every juicer knows that pear and ginger juice can fix almost any bad juice.. So what happens when I juice a few oddball flavors? Tasting Notes: Zesty, buttery, grassier than I had expected. Bright and light. Would go very well with citrus. 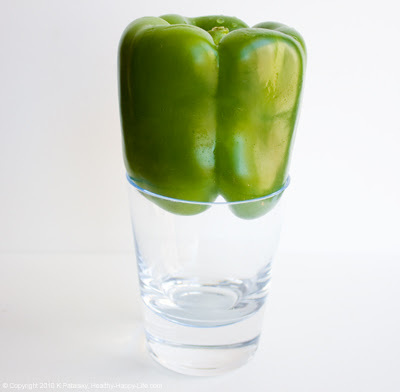 Juicing Note: Bell Pepper is an incredibly juicy veggie. It juices beautifully with very little pulp in the bin. 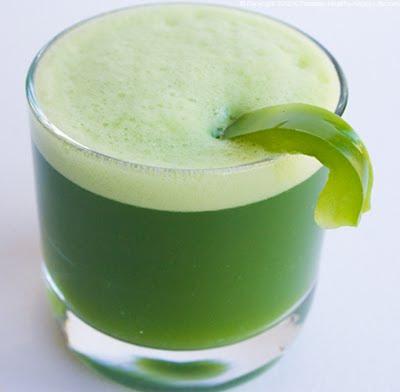 A great add-in to any green juice. I'll bet yellow and red bell pepper would be delicious too. Last Word: Yum! Zippy. 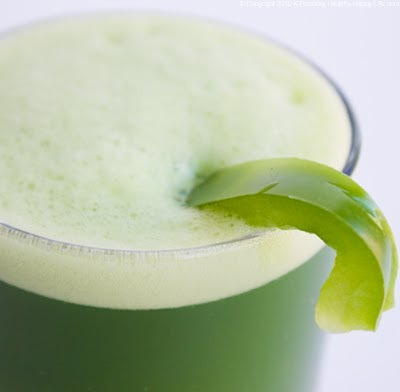 Good add to a blended sweet green juice. Tasting Notes: Yikes. What is that smell? Reminds me of driving through Northern California's broccoli fields as a kid. Yikes. I take a sip: strong, foulish, grassy, not too good. 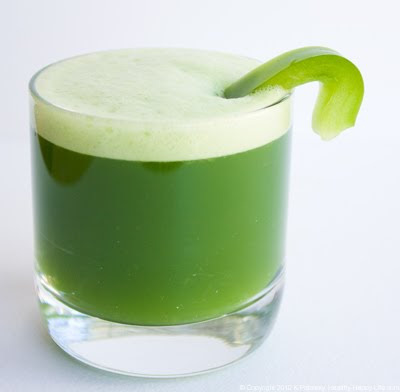 However, the juice is a beautiful bright green color. Too bad the taste is blandly grassy and unappealing. I actually considered holding my nose tight as I sipped this juice. Juicing Notes: Lots of pulp! 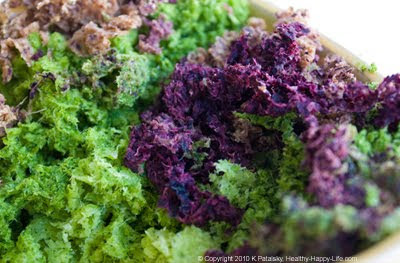 Way too much pulp for this juice to be an efficient way of getting broccoli nutrients - I want all that fiber too! 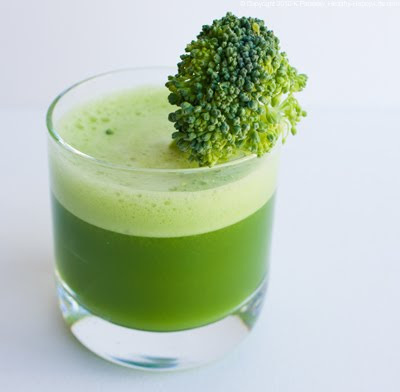 Perhaps a small handful of broccoli could be added to a large sweet green juice, but I'm really not a fan of broccoli juice. Last Word: I'll eat my broccoli steamed with EVOO, garlic and Apple Cider Vinegar please. No broccoli juice for me thank you. Tasting Notes: Super tart and super sweet - in a pure-tastic way! Tastes like biting into a bunch of perfectly ripe black grapes. However, too sweet for me to be sipped on its own. 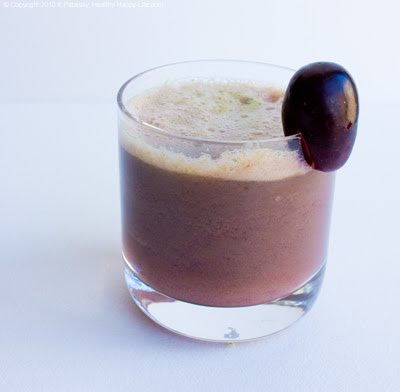 This grape juice blends very well with the bell pepper juice - or perhaps another green veggie juice. Fresh grape juice sangria or spritzer over coconut water ice cubes anyone? Fresh grape juice lemonade would be tasty in the summertime. 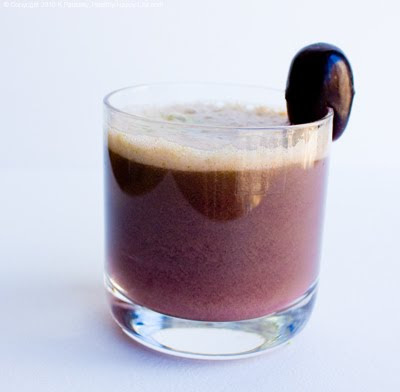 Juicing Notes: Produces very little pulp, however the pulp that comes out is dark black! I just wonder if that means I am missing out on some of the grape skin nutrients. Hmm..
Last Word: Yum! I will definitely add a few grapes to my green juice now and then. Adds a fresh sweet-tart flavor that's bright and perky - and even a little complex. Thumbs up! ..fresh grape juice would also taste divine in a homemade pitcher of sangria! End Result Juice: I managed to salvage my juice recipe (the one I ended up drinking) by combining: grape, bell pepper, pear and ginger - with a tiny bit of the broccoli juice. It was yummy and fresh, although quite different from my normal juice flavors. I don't think I'll go out of my way to make this combo, but it was a fun experiment. 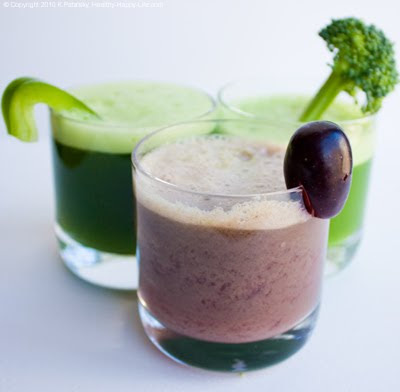 Hmm, what should I try juicing next experimentation Friday?? Mango juice? Heirloom tomato? Blueberry? Strawberry? Jicama? Asian Pear?